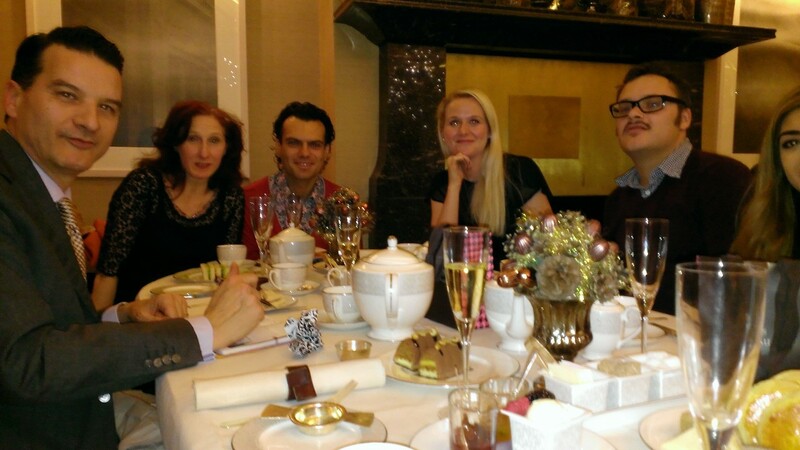 ‘This Week’ (which is sort of last week, if you see what I mean – check the date), I galleried it at Scream and Somerset House, had tea at The Connaught with Guerlain’s master perfumer, Thierry Wasser and attended some of the best parties of the year. In between taking in the last of the year’s High Street press days at New Look, River Island, BooHoo.com, Matalan, Mango, Debenhams and Massimo Dutti (phew! ), I met up with the faithful Eccentric Producer. She was clad in matching leopard print boots and scarf and trailing her Chanel bag, natch. (ie. Slightly more under dressed than normal and I kid you not). “I like this look, ” I said genuinely to her. “Oh these,” she signalled to the boots, “are part of my Marbella wardrobe. They like to go OTT out there,” she said with no hint of irony whatsoever. Eccentric Producer’s look fitted in perfectly with the Greg Miller ‘Four Corners’ exhibition. This painstakingly distressed Pop Art with influences of ’50s retro & kitsch is high impact as well as high price (£12-16k a pop). At Somerset House I previewed the amazing “Valentino; Master of Couture” exhibition. The setting, the couture detail on each of the exhibits, the heritage, the largesse of Valentino’s clients, has to be taken in context of one of the 20th Century’s greatest designers. It is without doubt, one of the best costume exhibitions to be curated in London. Miss it at your peril. The fact that Valentino’s daywear is as outstanding as his evening wear is one of the key messages as well as it’s modernity. These pieces would not look out of place on a 2013 catwalk. That’s vision and longevity. 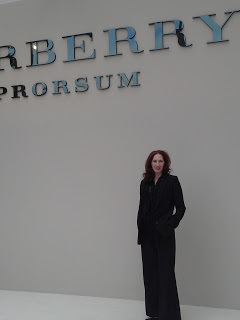 To be invited to meet with Guerlain, let alone Guerlain’s Head Perfumer is indeed an honour. A small group of key perfume bloggers sat down for the afternoon in The Connaught’s ‘Espelette’ tea-room replete with harpist. There, we quizzed Monsieur Wasser about his time at Guerlain, the making of new perfumes, the sourcing of materials and how he was channelling Guerlain’s vast heritage in a new direction. M. Wasser was every bit as business focussed as he was a ‘nose’. He spoke of the difficulty in being the first to obtain the fine and rare ingredients (as there’s massive competition) and of how vital it was to have the right business sales forecasts. It may be wonderful to have greater sales than expected but this depletes the product ingredients which are finite on an annual and seasonal basis. He also let us know that there’s new releases very soon on the horizon but wouldn’t spill on the theme. The slightly gourmand tinged latest release, La Petite Robe Noir, has been a global success so M. Wasser doesn’t have to worry re the eagerness of his audience. 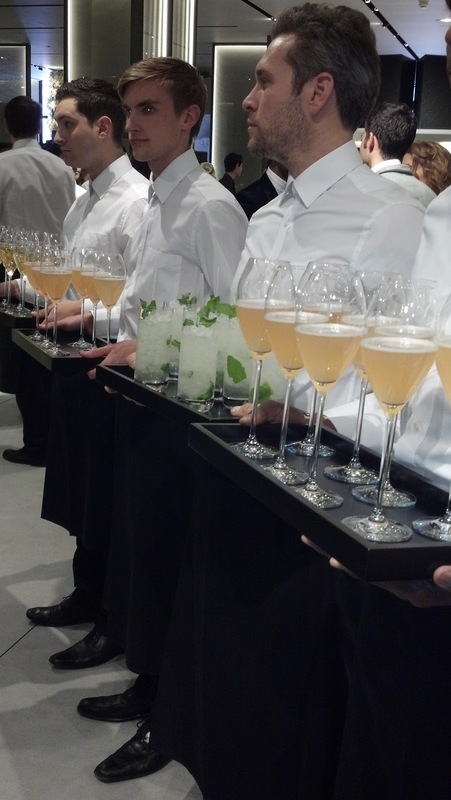 Guerlain devotees lap it up like we did the champagne tea. There’s always some sort of launch or celebration taking place in London in fashion and beauty and it’s always a blast to be invited. None more so than this week’s events which have exceeded themselves. First, we had (my high street favourite) Zara’s champagne fuelled, new Regent street store launch where The Kills played a set to a packed house (some of whom, it has to be said, were a lot more interested in Zara’s new season collection than bouncing along. Guilty as charged). The event was swish though, as well as upbeat and friendly. Not always the case at launch events. This was a goodie. 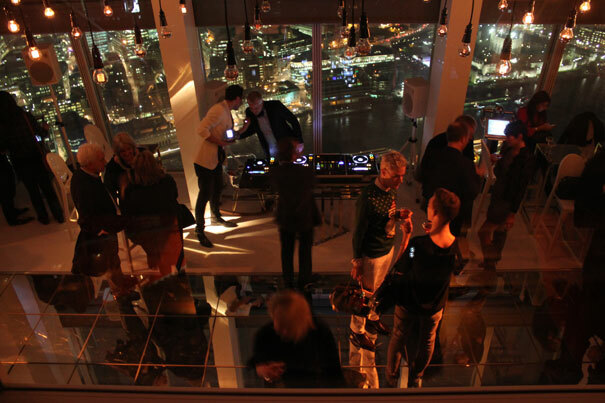 Then, there was one of the most unbelieavably swanky, well-produced launches of the year on behalf of Thomas Sabo’s new S/S’13 collection and announcement of new brand ambassadors. 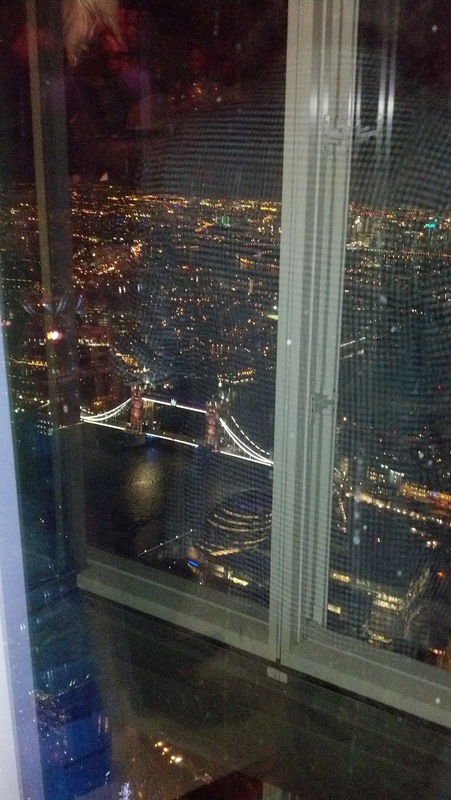 Held on the 69th floor of The Shard before its open to the public, this party played to all its strengths. 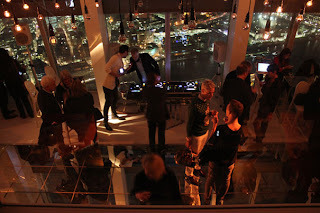 Bling jewellery, celeb attendees, a relaxed atmosphere, incredible views and overflowing Ruinart champagne. This was a very big deal indeed. 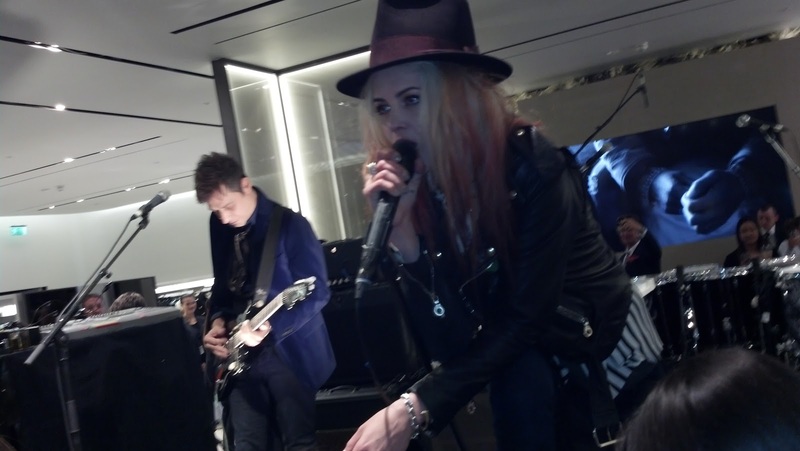 The week finished off with the Disco Princess and me at the launch of Alice Temperley’s new Conduit street store. We hot footed it there after taking in Wolford’s new store launch in Regent Street, while checking out the newly refurbed interiors of the Cafe Royal Hotel. 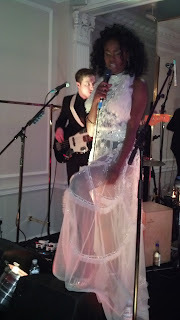 The Temperley gig was like a meeting of ‘London’s-beautiful-power-women-and-fashion-influencers-anonymous’. Guests’ heels sunk into the sumptuous pile carpet as they sauntered throughout the two floors, taking in Alice’s exquisite designs and each others’ Temperley outfits. If ever this was a case of the well-heeled and the hedge-funded, this was it. We were agog. Temperley has moved beyond it’s Notting Hill environs and is now firmly with the global A-listers including Royalty and Hollywood. This celebration was testimony to that. 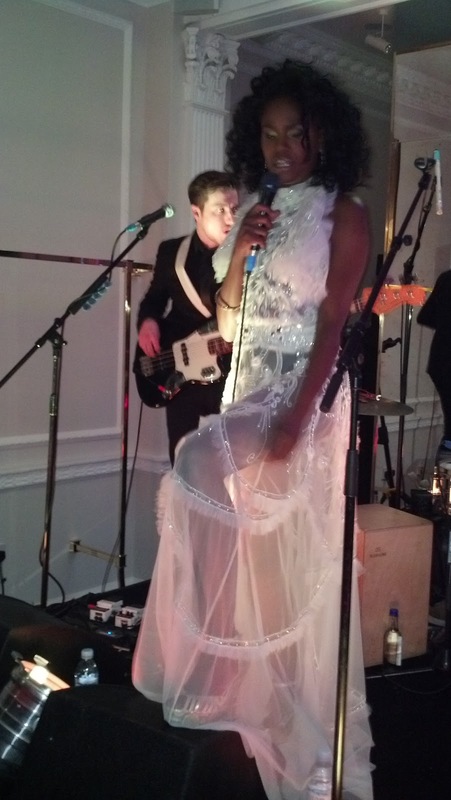 Having ‘The Noisettes’ play a set to London’fy it was the icing on an elegant Boho cake. By the way, must remember to check if I’m still on that ‘Temperley Sample Sale’ list. Please let me know what you think of ‘This Week’ by leaving a comment below. Thank-you.